Our guide to the most intriguing movies opening in UK/ROI cinemas in November. November offers a healthy mix of mainstream and indie fare in cinemas, with a new Hitchcock doc, the latest collaboration between Colin Farrell and Yorgos Lanthimos, and Kenneth Branagh's all-star take on an Agatha Christie classic. Not another bloody Hitchcock documentary, you might frown. But wait, this one has a novel twist. Alexandre O Philippe’s doc focusses solely on the notorious shower scene from Psycho, arguably the most influential sequence in cinema history. A host of filmmakers including Peter Bogdanovich, Guillermo del Toro and Eli Roth discuss their love of the scene and how it influenced their own work. Speaking of Brits known for their love of a good killing, Agatha Christie's most famous tale gets another all-star screen adaptation, this time from director Kenneth Branagh, who also takes the role of Belgian sleuth Hercule Poirot. The big question is how far Branagh's film will stray from the source material (surely he'll change the identity of the killer?). The acting talent involved is too numerous to list here, but after her resurgent performance in mother!, all eyes will be on Michelle Pfeiffer. 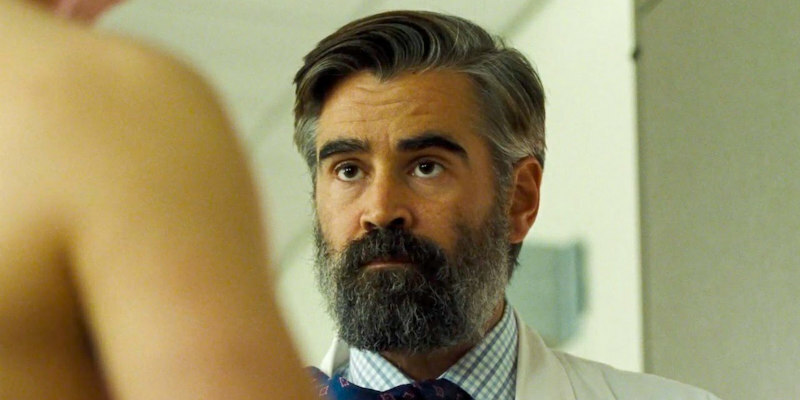 European auteurs often fail to transition their flavour to English language cinema, but Yorgos Lanthimos's The Lobster saw him maintain his unique brand of black comedy while showcasing the comic talents of Colin Farrell. The pair reteams for The Killing of a Sacred Deer, which while often amusing, sees Lanthimos stray into Kubrickian horror territory. Another European filmmaker who made a successful transition to English language cinema is Norway's Joachim Trier, whose Louder Than Bombs was one of the best movies of last year. For Thelma, Trier returns to Norway but now explores the sci-fi genre with a tale of a young girl who discovers she possesses strange powers, triggered by her attraction to another girl. Winner of the Silver Bear Grand Jury Prize at this year's Berlin Film Festival, Alain Gomis's Felicite is the story of a singer (Vero Tshanda Beya Mputu) who finds herself in a race through the streets of Kinshasa when her teenage son is involved in an accident. It's the official Senegalese submission for this year's Oscars. Writer-director Michael Almereyda returns to territory he previously explored in his script for the cult '80s sci-fi drama Cherry 2000 with Marjorie Prime, which similarly explores the idea of artificial relationships. 86-year-old actress Lois Smith plays a woman who uses a holographic service to recreate a vision of her late husband as a younger man (Jon Hamm). Writer-director Sean Baker blew us away with Tangerine, his energetic 2015 drama which followed the travails of a loveable pair of trans women prostitutes. That movie was famously shot on an iPhone, but Baker has opted for 35mm for his latest. The Florida Project follows a six-year-old girl (newcomer Brooklynn Kimberly Prince) who lives with her mother in a motel in the Sunshine State. Willem Dafoe adds star power. Annette Bening seems to pop up at this time every year with a performance that sees her tipped for Oscar glory. This year she's playing Hollywood legend Gloria Grahame in this adaptation of the memoirs of Peter Turner, a Liverpudlian who enjoyed a relationship with the actress in the final years of her life. Jamie Bell takes the role of Turner in director Paul McGuigan's film. Robert Pattinson continues to distance himself from sparkly vampires by taking the lead role of a New York junkie in the latest from the Safdie brothers, a duo known for street level NYC dramas like Heaven Knows What, which finally arrived on UK DVD earlier this year. Shot on location in all five boroughs of the Big Apple, Good Time is said to be a dizzying rollercoaster ride through the criminal underground of New York. Hungarian cinema has experienced a resurgence in recent years with the likes of White God, On Body and Soul and Kills on Wheels. Director Arpad Sopsits' Strangled tells the story of the Martfu Murderer, a serial killer who terrorised a small town Hungarian town in the already turbulent 1960s.